Brian San Miguel has been market president of BB&T in Miami-Dade for just over a year, and is committed to keeping his strategy simple. His clients are at the forefront of his agenda, and he says growing the bank on the ground and routinely going out on calls with his team members to help clients is still one of his most important responsibilities. To stay competitive and develop new relationships, Mr. San Miguel tells his team to prioritize their day-to-day interactions with clients: “stay reliable, responsible, empathetic and competent,” he says. Though BB&T has the resources of a large, national bank, it is structured to run each market as a community bank. BB&T operates in 15 states, further divided into 26 regions and even further broken up into large markets. Each market has its own market president, maintaining a community bank model and keeping administrators close to the local clients. “It’s without a doubt a more expensive model to run,” Mr. San Miguel said, but it keeps BB&T markets more reliable and responsible with their customers. Mr. San Miguel says his client-based model is not unique to the Miami market, but is consistent across all BB&T markets: “from our CEO to our tellers, we all understand we need to put the client first… something is done differently [at BB&T] that’s not always done everywhere else,” he said. Though BB&T became a major player in Miami by acquiring Colonial Bank and BankAtlantic, Mr. San Miguel says organic growth will be the more successful model moving forward, as all banks are trying to grow and are slowing the amount of acquisitions in the industry. While Mr. San Miguel prefers an organic growth model, he believes in the exponential growth of technology in the banking industry: if a bank isn’t offering a particular service to its customers, competitors will, he says. BB&T has invested heavily in Financial Technologies, and uses the Zelle real-time mobile person-to-person transfer technology popular among national banks to offer instant money movement to clients between banks. When he’s not working, Mr. San Miguel says he likes to stay busy exercising and spending time with his wife and 18-month-old son at the beach. Miami Today reporter Gabi Maspons interviewed Mr. San Miguel over the phone this week as Hurricane Irma approached the mainland. Q: How did you start banking? Could you take me through your career to date? A: I’ve been in banking since I finished high school. My grandfather was the manager at a restaurant. 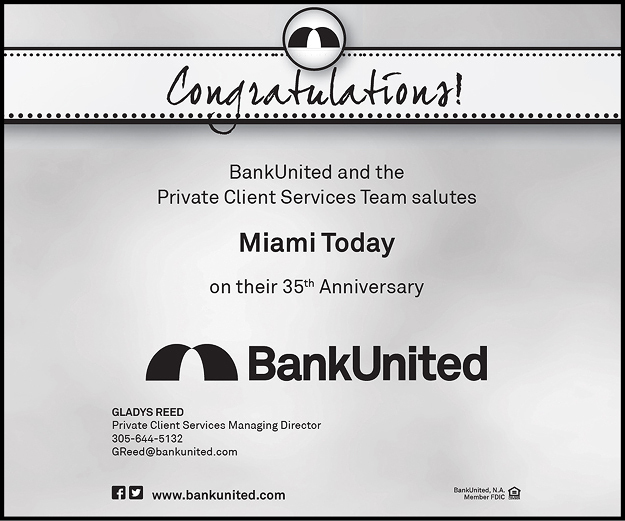 He did the daily banking run and delivered food to a branch in Coral Gables, developing a relationship with the staff and management. He mentioned he had a grandson who was 18, graduating from high school and starting FIU who had an interested in finance. They suggested I work at a bank, so my grandfather made an introduction and they hired me. I started at Bank of America as a teller and spent several years working on the retail side as a teller on the platform. Eventually I transitioned to small business banking, then to business banking and commercial lending. Most recently, I began corporate banking, where I’ve been for the past 18 months. Last July I took on the responsibility of market president for Miami-Dade County. Q: What are your responsibilities as market president? A: They’re more administrative now. Especially with the approaching storm, I’ve been focusing more on strategy and organizing. 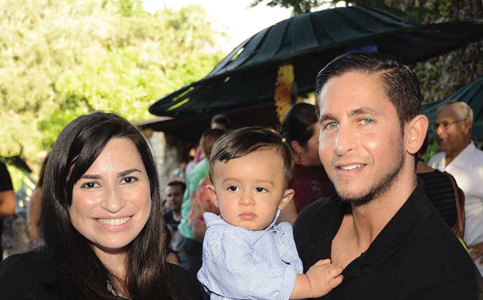 Usually – when not in crisis – I’m ultimately responsible for the budget and revenue goals for the city, the income statement and balance sheet for all of Miami-Dade County, building and protecting the brand within the market and supporting the community. Weekly I lead sales meetings and ensure connectivity between the divisions that service Miami clients. I still enjoy going out on calls with my team members; it was a big part of my prior responsibilities and gives me a heart beat for what’s going on in the market. I also enjoy going out and meeting clients and prospects because it strengthens existing relationships while building new ones. It’s still one of my most important responsibilities as market president: being out there and helping clients, while growing the bank. 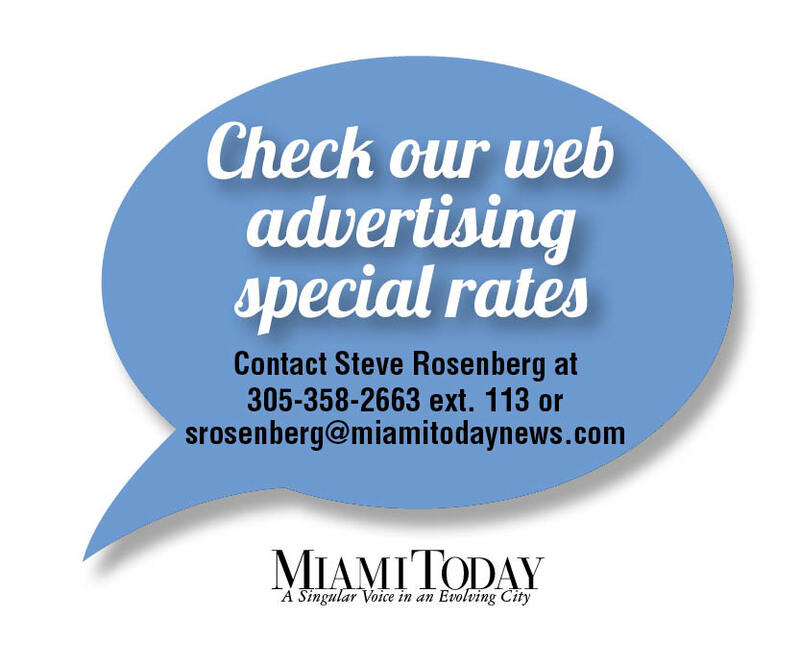 Q: How has the banking industry changed in Miami? A: The regulatory environment has certainly changed. There’s more governance and compliance. It’s important, but sometimes we find ourselves limited on how responsive we can be to a client’s requests or needs because of hurdles that are part of our new processes. We’re limited in how quick we can be. We are still adding more to our processes, though we try to be more efficient with timing different systems in the back office whenever we can. More and more regulatory guidelines are being passed down, and we’re finding ways to incorporate them. Ultimately, it slows down how we respond to client needs. Q: Have you seen an improvement in the trust between customers and banks since 2008? A: Trust is especially important in banking. The public’s trust in banks has certainly been shaken, and it does factor into how we meet the needs of our clients. We want to act as trusted advisors and be as consultative as possible. Our approach should never be about a specific product or solution, but about listening and understanding the client’s needs and making recommendations when we can. Trust has hurt the larger, national banks the most, while giving us the opportunity to tell our story. We’ve been able to differentiate ourselves from our competitors and show how we assist our clients and bank differently. Q: What are some challenges facing the banking industry and how are you responding? A: Competition to win business and develop new relationships is tough. All banks are focused on growth in 2017 and we are seeing that in all segments of the market from retail to corporate banking. I tell my team to focus on the basics: be reliable, responsible, empathetic and competent every day while working with your clients. The industry has been relatively healthy for the past six to seven years. It’s been a slow journey, but a good one for the economy, and we don’t anticipate any big changes soon. BB&T has always been a relatively conservative bank. We take pride in performing well and servicing our clients in the good times, as well as the bad. Although the next 18 to 24 months look bright and we are optimistic, we have to keep our eyes open for when the cycle changes, because eventually it will. Q: How does BB&T set itself apart? A: Our approach to banking is very different than our competitors. We truly operate under a community bank model. We operate in 15 states, and Washington, DC, have over $220 billion in assets, we’re the eighth largest commercial bank in the country, but we break down into 26 regions and are then further divided into large markets. Each market acts as a community bank with a market president. 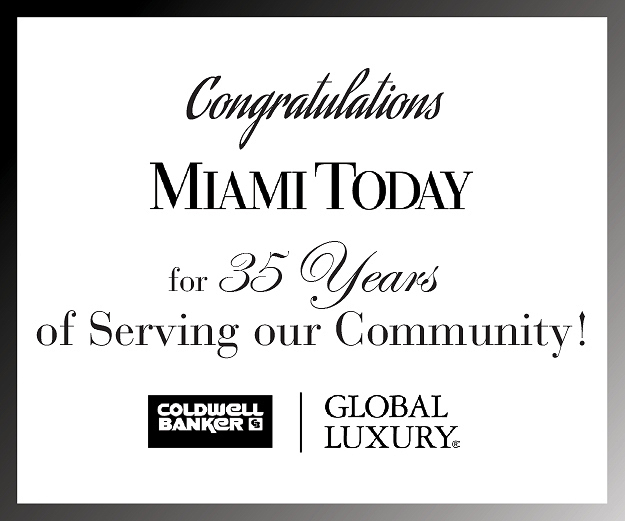 I’m proud to be the market president to what I believe is the best market in the bank – Miami-Dade County. We have 40 financial centers in Dade County. Though we function each market like a small bank with local decision-making, we have all of the resources and solutions of a national bank. It’s without a doubt a more expensive model to run, but it allows us to be extremely reliable and responsible with our clients, especially in a unique market like Miami. Q: What differentiates the Miami market from others within BB&T? A: Down here in South Florida, the international flavor factors in to everything. Every company – whether manufacturing, distributing or providing a service – is influenced by international factors. Even though we are a North Carolina-based bank, the structure of having local market presidents and credit officers allows us to operate effectively in a market that is very different from others with our same footprint. Q: How do you expect the Miami market to grow in the next few years? A: BB&T has demonstrated its ability to grow in South Florida since we entered the market in 2009 through the acquisition of Colonial Bank, and then doubled down on our commitment to South Florida through the acquisition of BankAtlantic in 2012. All banks are trying to grow. If you’re not able to grow through an acquisition, you have to do it organically. For organic growth, it’s extremely important to have the right talent and to be appropriately staffed to serve the market. Like most banks, BB&T has a strong appetite for C&I [commercial and industrial] banking relationships and lending opportunities. A lot of banks are heavily weighted on the real estate side, and are trying to focus on true commercial and industrial business to balance their portfolio. But I think successfully achieving organic growth will be key for BB&T and most other banks in the next 18 to 24 months, as the amount of acquisitions in the industry has slowed. Q: Is there a particular market segment BB&T focuses on? A: BB&T really is a full service banking provider: we can provide almost any financial solution a client can need. We don’t focus on a specific market segment; we have a retail footprint in Miami, a small business segment, commercial banking, and corporate banking. We run the gamut, and they’re all equally important and necessary to properly serve the market. It’s important that we manage a comprehensive banking relationship with our clients. It’s not about a specific transaction; we’re not out there to provide one service, but want a comprehensive banking relationship in whatever segment our clients fall into. Q: What do you admire most about BB&T? A: I admire our culture. I’ve worked in large national banks and small community banks and BB&T really puts the client first. A lot of banks say that, but for us it’s the top down: from our CEO to our tellers, we all understand we need to put the client first. I have seen it in a lot of the decisions made during my tenure. We are committed to our clients and stand behind them in the good and the bad to meet their needs. I would like to say it’s not unique to BB&T, but based on my experiences, something is done differently here that’s not always done everywhere else. In my retail and small business banking career, Felipe Balsulto helped me advance as a young banker and invested a lot of time in my development, often challenging me, He ultimately helped me feel good about myself as a young professional. I always felt like I could achieve more because he believed in my potential. In my lending career, Vivian Feinberg, who I reported to at several institutions, taught me how to advocate and execute well on behalf of my clients. Now more than before, I understand that while she was my boss, she was a player-coach; she had goals, responsibilities and managed client relationships, and still, she always found time to provide me with guidance and feedback. That took me to the next level in my career, which I’ll always be grateful for. Most recently, when I joined BB&T, Rob Bowlby, who was the president for Miami-Dade County, was a role model of what a market president should be. Q: How has technology affected the banking industry? A: While the client will always appreciate face-to-face banking, technology is becoming a huge part of banking. BB&T is focused on FinTech [financial technologies]. Our goal is to make things easy, simple and fast for our clients. When I’m out on calls, people always ask where technology is heading with banking. I smile and hold up my cell phone, because most people want to bank out of the palm of their hand. Technology is making convenience paramount; if you don’t offer something, a competitor will find a way to first. Not only can banks use technology to service current client needs, but we can also use technology to anticipate future client needs and present solutions at the right time. BB&T has invested heavily in FinTech and we believe it’s the future of banking. BB&T is actively involved in Zelle, a rolled out person-to-person payment system in real-time. Through Zelle, you can transfer money to someone that immediately becomes available in their account [regardless of the financial institution they use]. The money isn’t posted when the banking day is over at 12 or 1 in the morning, but is transferred immediately. Q: Do you think technology is pushing the industry toward branchless banking? Or do consumers and banks prefer face-to-face interactions? A: We see our clients visiting our branches less and less often – that’s evident. But there will always be a need for some type of offices. I think it’s steering away from the branches of today, with large standalone buildings with a window of 10 different tellers and 15 platform bankers; we may have more modern offices to give people with a need to resolve something face-to-face the opportunity to meet with a person in an office. The model, as it’s still set today, will see the greatest amount of change in the retail-banking segment more than any other. Q: What community projects does BB&T have in this area? A: Annually, BB&T associates can vote and recommend projects, and then we select organizations within the community. It’s about more than just funds; we go out and help – whether it’s painting a building or providing school supplies. This year, through the Miami Lighthouse for the Blind, we went to Booker T. Washington High School and conducted eye exams for the students. We had about 35 associates. If the students didn’t pass our preliminary exam, we had nurse on-site to follow up. If they needed glasses, we’d provide them. Usually high school students aren’t motivated to participate in these voluntary initiatives, so we got creative. We raffled off laptops, bicycles, gift cards and other small gifts. The principal told us participation went up 300% in a year. Projects like these are done throughout the footprint, bank-wide. Every market has multiple projects funded by the bank, and BB&T pays for the associates’ time at work to participate in the projects. It’s an initiative the banks and associates are very proud of. Q: What community organizations are you personally involved? A: I love to stay busy. When you’re fortunate enough to donate time and funds, you should always give back. Organizations that help children have always spoken directly to my heart. I’m humbled to be a part of Big Brothers Big Sisters of Greater Miami, the Chapman Partnership for the Homeless and Shake A Leg Miami. They all do very special work with children. Q: Do you have time for other personal interests outside of work? A: I enjoy exercise, weight training and racquetball. It’s a great stress reliever for me, and I do a lot of my thinking while exercising. I love spending time with my family. We have an 18-month-old son who loves the water, and we’ve started his first round of swimming classes – though they’re more survivor classes. He’s a fish; once you get him in the water you can’t get him out. Whenever we can find time to go to the beach or the pool as a family, it’s something I look forward to. Q: Is your wife also from Miami? A: My wife was born in Cuba and came when she was about 15, then went to high school and grew up in Miami. We met during our last semester at FIU, so we cut it a little close there. But we met, and the rest is history.